Chris Pine is playing fabled 14th century King of the Scots, Robert The Bruce in a new film for Netflix. Rogue One: A Star Wars Story, Lego Batman and Wonder Woman feature in a new Clips of the Week. The first official trailer for next summer’s Wonder Woman has arrived. 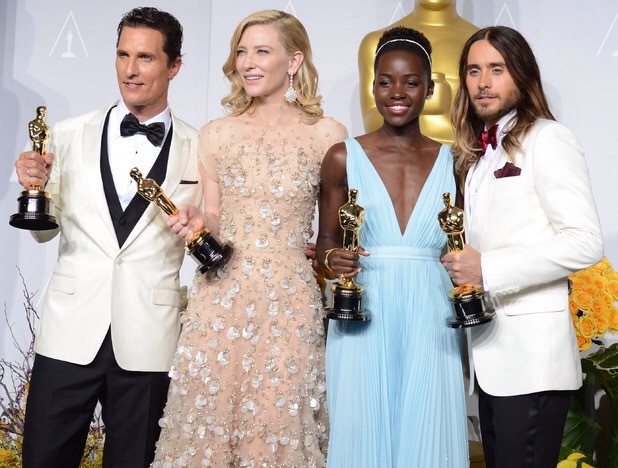 As expected, Matthew McConaughey, Cate Blanchett, Lupita N’yongo and Jared Leto will be among the presenters at this year’s Oscar ceremony. Traditionally the winners of the acting prizes always return the year after. Oprah Winfrey, Benedict Cumberbatch, Reese Witherspoon, Marion Cotillard, Meryl Streep, Josh Hutcherson, Octavia Spencer, Zoe Saldana and Scarlett Johansson have also been confirmed as presenters. Producers have also revealed Jennifer Aniston, Sienna Miller, David Oyelowo, Chris Pratt, Chris Rock, and John Travolta wil be presenting awards on the night. Let’s hope John Travolta can read the autocue this time. Another raft of confirmed presenters include Jessica Chastain, Kevin Hart, Viola Davis, Chris Pine, Ben Affleck, Naomi Watts, Shirley MacLaine and Miles Teller. You’ll also see Gwyneth Paltrow, Channing Tatum, Nicole Kidman, Jason Bateman, Idris Elba, Ansel Elgort and Liam Neeson. This year’s Oscars will also feature lots of music performances. We don’t know much about them yet but do know Jack Black, Anna Kendrick and Jennifer Hudson will take to the stage for a ‘very special sequence’. Plus, Lady Gaga has also been added to the list of performers. “We’re creating several musical sequences for the Oscars and we couldn’t be happier that our friend, Jennifer Hudson, will be performing in one of them,” producers Craig Zadan and Neil Meron said in a statement. This week I attended a press conference with Meryl Streep to promote her new film Into The Woods, which is out in UK cinemas now. The film is based on the musical by Stephen Sondheim and uses characters from well-known fairytales and look at what happens to them after their Happily Ever After. It’s quite dark but also funny and has a strong message. 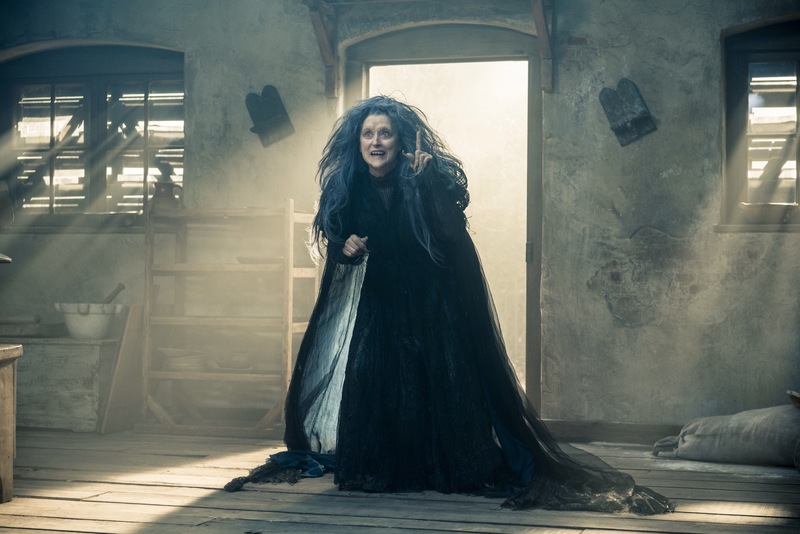 Streep plays the role of The Witch in the film and she says when director Rob Marshall offered her the role she felt she was almost destined to do it as Bernadette Peters was the first actress to play the Witch in the Broadway production, and Peters is an anagram of Streep! The film has a great cast including James Corden, Emily Blunt, Johnny Depp, Tracey Ullman, Anna Kendrick and Chris Pine. Director Rob Marshall said he didn’t set out to have such an international cast but that he “cast the greatest people for the roles. I asked Meryl and Johnny do it but everyone else auditioned. There’s no-one else like Meryl for depth, humour and vulnerability. Every time I watch the movie it’s like I’m seeing it for the first time and that’s down to Meryl”. Emily Blunt makes her musical debut in the film as she plays the Baker’s Wife. She says she didn’t know the story when she went for her audition and it was her husband John Krasinski who encouraged her to go for the role: “He doesn’t know musicals but he knew Into The Woods and he was singing it to me when I went for my audition. I did it because I wanted to work with Meryl again”. Johnny Depp is also amongst the cast, playing the Wolf who has designs on Little Red Riding Hood. Marshall says the actor was excited to be part of the film: “Johnny is a creative force and an extraordinary man. He was excited to have a small part in a company. He was also excited to play the role and he was desperate to work with Meryl, that’s for sure!”. I liked the film, for me it’s probably the best of the Rob Marshall directed musicals. It is a bit long though!